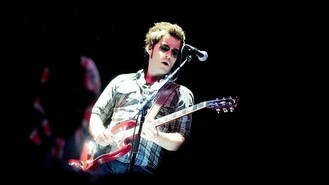 Stereophonics have treated a few fans to an intimate performance at the famous Abbey Road Studios. The Devil singers - who are fronted by Kelly Jones - performed six songs for around 70 lucky fans at the London studio, reported The Sun. The band, whose new album Graffiti On The Train is due out next year, included a rendition of their upcoming single Indian Summer during the acoustic session, which took place ahead of their UK tour. The event was organised by Absolute Radio. A clip can be heard on the station at 10pm on Sunday. Indian sitar virtuoso Ravi Shankar has died at the age of 92. Sir Paul McCartney is reportedly set to front a Nirvana reunion. Madonna gave fans an eyeful when she and boyfriend Brahim Zaibat shared a steamy kiss on stage. The Spice Girls have been reunited once again at the opening night of stage musical Viva Forever in London. Michael Buble has revealed duetting with Bing Crosby through the power of special effects was "a dream come true". James Arthur has smashed X Factor sales records with the release of his debut single Impossible. One Direction have said they can't wait for their film to be out - so their fans can see more of them. US rapper Eminem will take to the stage to headline the Reading and Leeds festivals next year - more than a decade after he first topped the bill. Alicia Keys recently cut off most of her hair, and the singer is looking to go even shorter.